BT TV has announced that it will be offering Sky Sports 1 and 2 on its YouView boxes, as the vicious battle over premium sports, and largely Premier League football, takes another critical turn. The war over the hearts and subscriptions of the nation's sports fans began in earnest when BT bid for Premier League rights and won a key package from Sky and then added to that with a successful bid for Champions League football which kicks in next year. Up until now, those that wanted to opt for BT's television service rather than a Sky dish had to go for the old (and tired) BT Vision box rather than the new YouView boxes if they wanted to get the Sky key sports channels. However, after a successful application for 'interim relief' from the Competition Appeal Tribunal, BT's YouView boxes can now show Sky Sports 1 and 2 and will be priced at £22 per month for both or £16.50 for one. BT TV and Sport MD, Delia Bushell, described the arrival as "a pivotal moment for our ambitions in TV" adding: "We are delighted to now be able to offer a stronger range of premium sports programming on our YouView boxes, adding to the recent launch of Netflix." 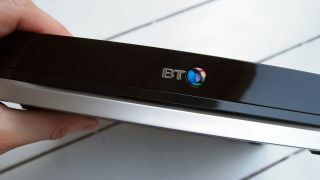 BT will now stop selling Vision+ boxes altogether, which is great news for new customers but people who opted for that box previously to get the wider sports selection will have to wait until the end of their contract and pay a £35 fee to upgrade to the YouView box.